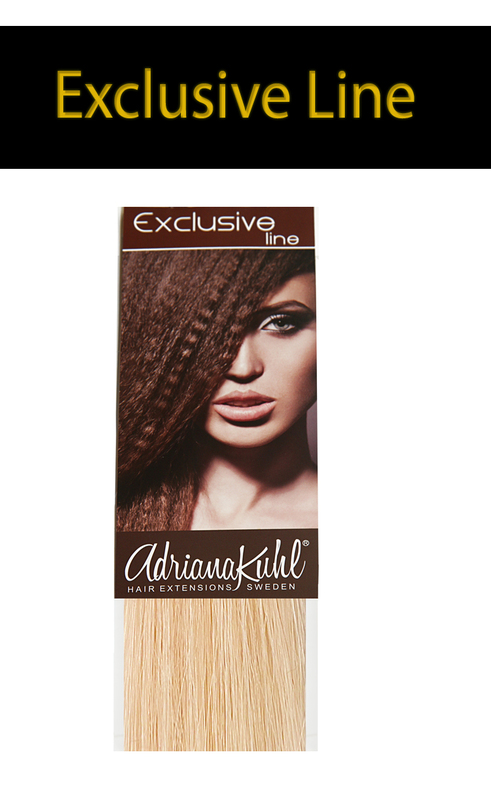 AdrianaKuhl Hairextensions with keratin bonds, also known as nailhair, is made of genuine Indian remy hair and is our most popular and sold hairextensions for you who wants a natural and long lasting result. 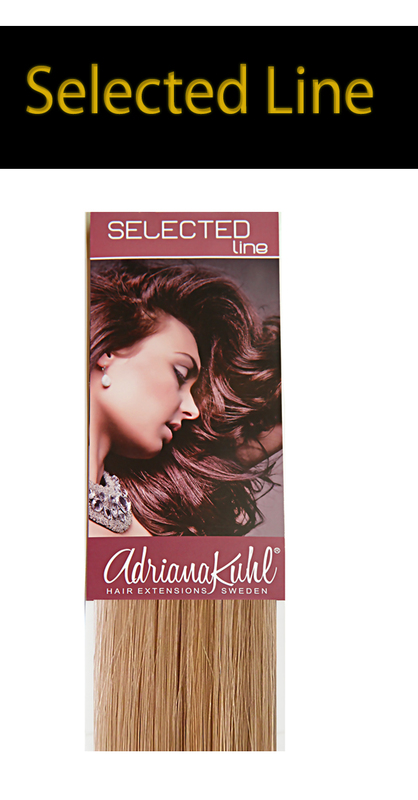 Selected Line - Standard extensions which you should choose if you desire fine quality hairextensions and natural ends, also known as single drawn, for the thinner, natural ends. Exclusive Line - Our more luxurious hairextensions you should choose if you want hair extensions with excellent quality. Our exclusive hair is double drawn, meaning it's as thick in the ends as they are at the roots. You attach the hair extensions by melting the keratin bonds using a heat iron specially designed for hair extensions. The keratin is then sealed soft and smoothly around your natural hair. After approximately 2-3 months you can easily remove the keratin bonds using our remover and our removing pliers. This metod is perfectly suited for a complete hair extensions aswell as hair thickening. You can shape and style however you like, using heat irons, curling irons and blow dryers. Freely mix and match similar colours for a natural result or blend in noticeably darker or lighter shade for a stylish highlights effect!